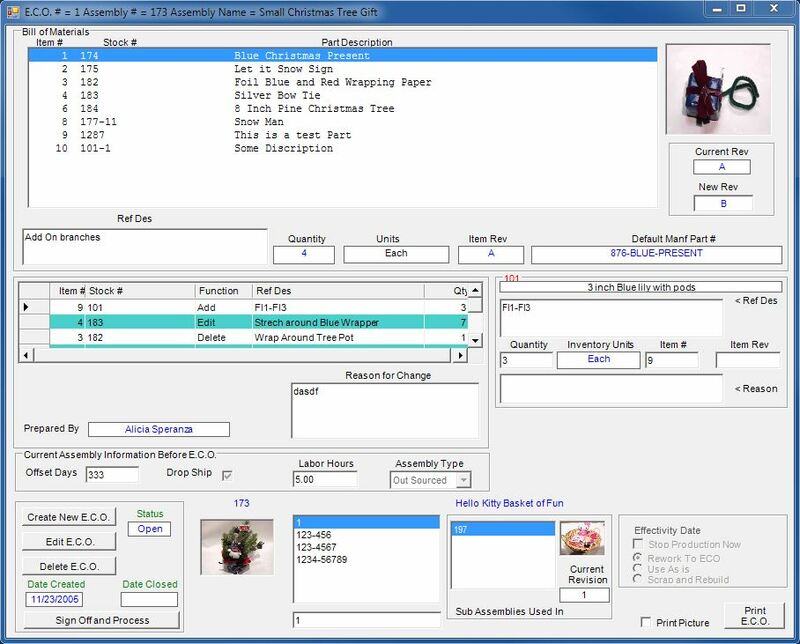 This 'Inventory Bill of Materials' screen has an extremely easy user interface. It features multi-level editing ability and BOM History. 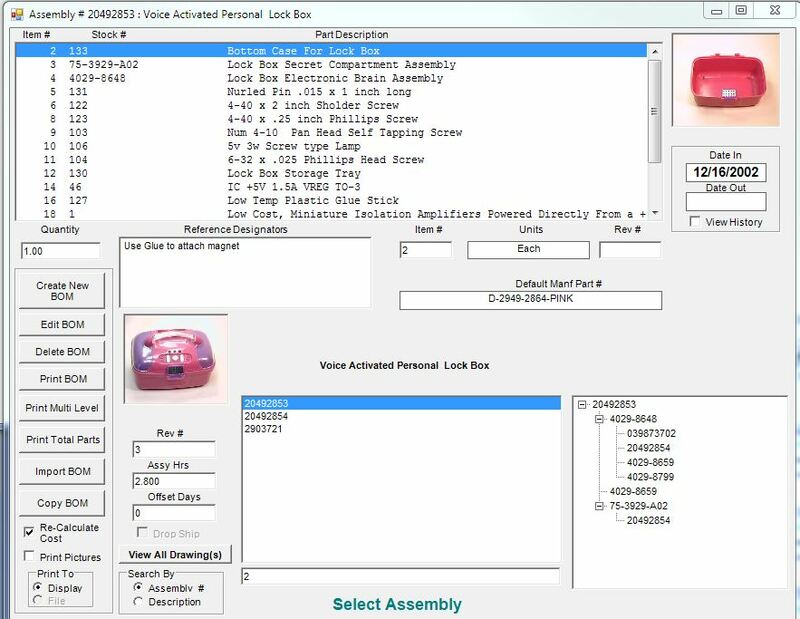 A picture of the assembly and inventory parts are displayed on this screen. Reports can be generated and viewed on the screen, printed to the printer, or exported to a file. 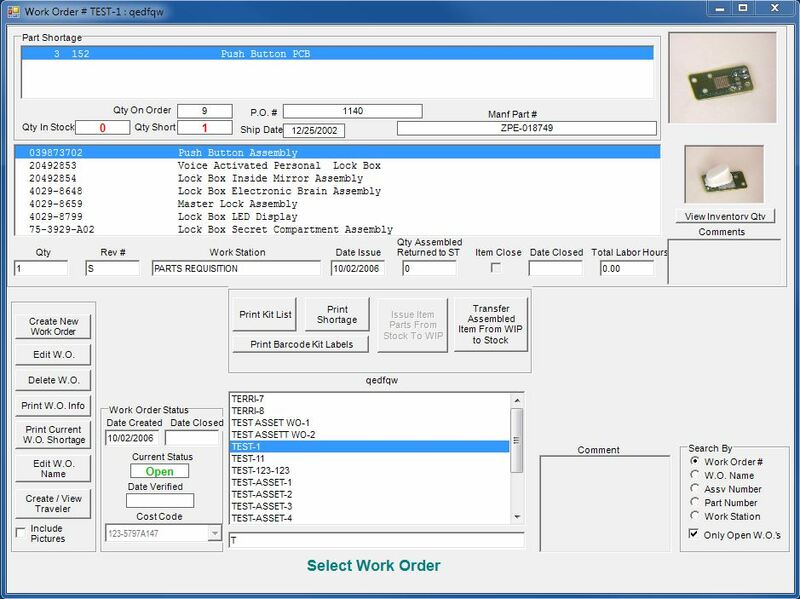 Four different import methods are available to import data from other CAD systems. 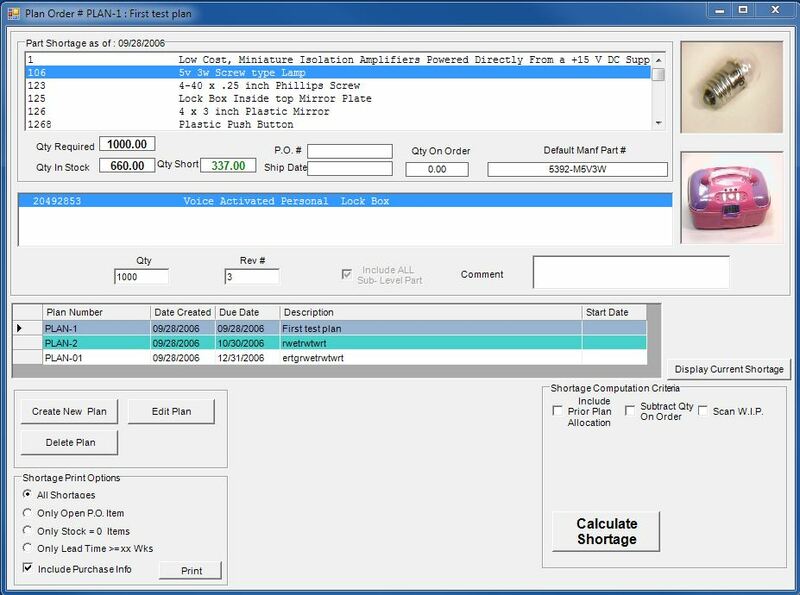 The inventory software can be configured to support revision tracking through the use of engineering change orders. The cost of a bill of materials, or an assembly is calculated when created by using part costs from the most recent purchase order. 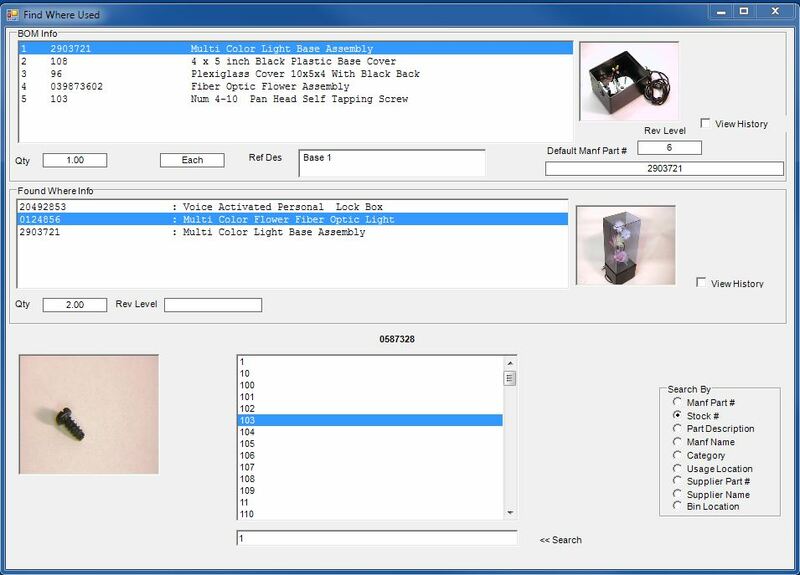 Editing an assembly updates the cost of the assembly, its subassemblies, as well as any higher-level assemblies with part costs from the most recent purchase order. To update ALL assemblies in the system with current part prices, please see the burden cost and pricing update.